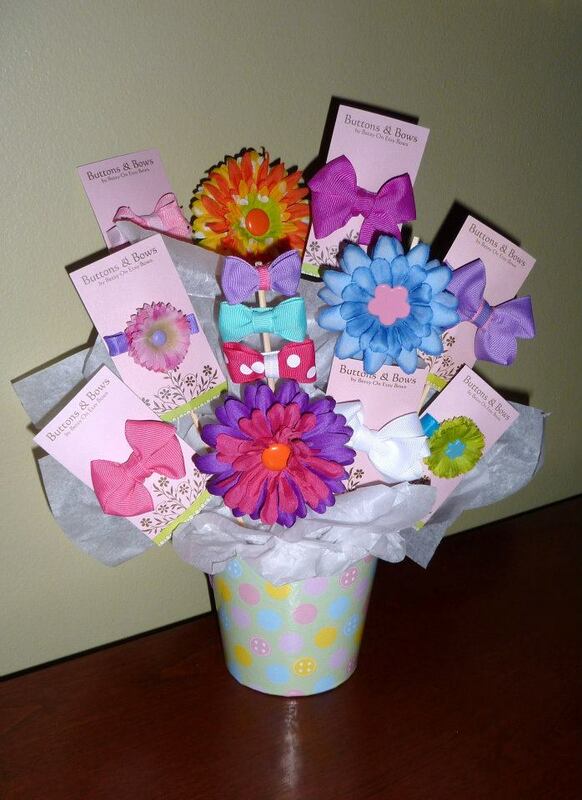 Check Out Buttons & Bows Accessories – They are "Tutu" Cute! Whenever I get the chance to shop local, I always do. I also love the idea of supporting the businesses of local stay-at-home Moms who are making a career of their talents while being a full time Mom to their children. Several years ago, I met a wonderful lady named Betsy at a local kids consignment sale that I was participating in. We immediately struck up a friendship as we were chatting to one another about our children, who happen to be almost the same age. I came to find out that Betsy had been creating headbands, bows and hair accessories and was starting to sell them on Etsy, which just happens to be one of my favorite sites to shop for handmade goodies. Since my daughter was a complete girly girl with very little hair at the time, I asked Betsy if she made bows for fine or shorter hair. Let’s just say she did not disappoint. She asked the occasion, colors of the outfits I had in mind and in no time at all she had created adorable bows to match the dresses I had been planning for an upcoming holiday. After seeing how beautifully made and how strong the clips were for holding my daughter’s fine hair, I became hooked on her items and have been purchasing from her ever since. My daughter has worn the hair accessories to school and outside to play and they all stay perfectly in her hair. Betsy also makes the most adorable hair bow holders. I am especially crazy about her personalized holders. They make amazing gifts and are always a hit with the recipient. Betsy always has a wonderful selection of accessories to choose from and is always glad to work with you to customize something special if you desire. Her designs are fun and functional. Each item is handcrafted and given special attention which radiates into high quality, beautifully designed products. As a Mom, I am always on the lookout for quality hair bows, headbands and accessories. There is nothing more exciting than not only finding adorable, quality accessories, but when they are also an exceptional value – well that is what really draws me in! Betsy’s prices are just as wonderful as the products themselves. As if that is not enough, Betsy has also been known to give back to the community by participating in fundraisers and other charitable events. She truly has a heart of gold and puts so much love and energy into all she creates – and it shows…even down to the way she packages her items. This year the holidays were especially hard for our family with my husband out of work. Betsy kept in touch with me throughout the months, offering prayers and support to me and my family. As a special gift to my daughter, she presented her with a beautiful complimentary pink tutu as a holiday gift from her. Check out the picture above to see just how beautiful and full her tutus are. She makes them in a variety of colors and as you can see, my daughter is tickled pink with her newest accessory! I am so incredibly touched by Betsy’s extreme generousity and I cannot thank her enough for making our holiday a little brighter for our children this year. I encourage you to head over to her Buttons & Bows Facebook Page and her Etsy site, Betsy on Etsy Bows to check out some of her gorgeous products. Her accessories make the perfect gift or compliment to an outfit you may have purchased for a birthday or holiday. Custom orders and fundraising opportunities are also available. Be sure to let Betsy know that I sent you! You make me blush. I am honored by your kind words. It is a joy to share a little love with your beautiful family. Love to you! See you soon at the SKCS. Awww, you are the best, Betsy! I cannot thank you enough. I was just about to send you a link to the post. So glad you enjoyed it! Looking forward to seeing you at the SKCS! Betsy is a very dear friend of mine. Over the past few years, I have seen her Buttons and Bows business grow and grow. All of her amazing products can be seen at the various flea markets in the area. 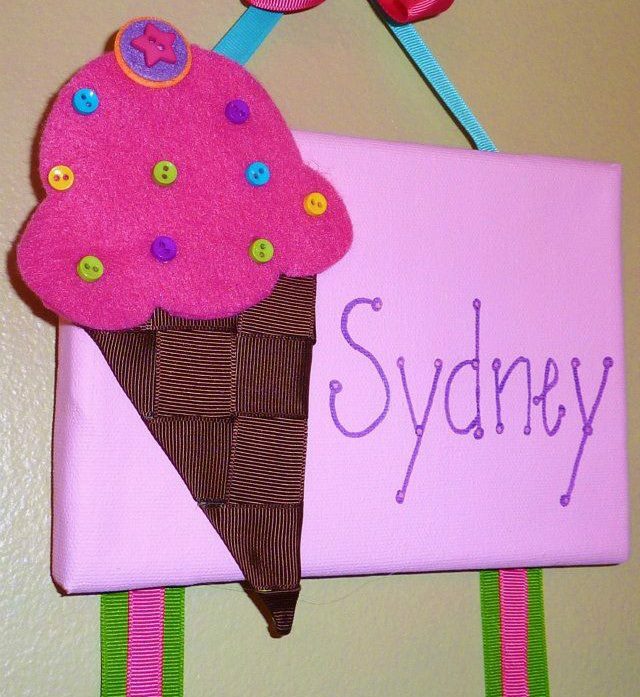 She also does the most amazing birthday parties for little girls where the children can make their own goodies such as a headband, bow holder, bow etc. The girls LOVE to see how the products are made and feel a sense of accomplishment when they can wear a bow that they made!!! I have seen Betsy’s generosity over and over again. I have seen her at benefits where a designated percentage is given for the cause. I have seen her box up many, many hair accessories and send them to Africa. Betsy gives and gives and I am so happy to see such a wonderful article written about my friend. Dena B. Girls, I am crying now. Thank you for making this dream really happen.